Moving away from the environmental initiatives, at least for a little while, we now shift our attention to a different element of Roatan’s geographical nature. 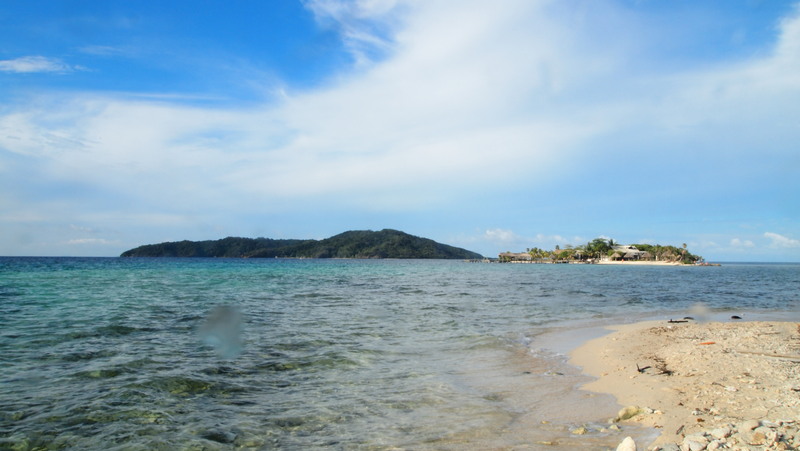 This entry will take you to two of the most pristine and remote areas in all of the Bay Islands, and quite possibly two of the most beautiful natural attractions Honduras has to offer. 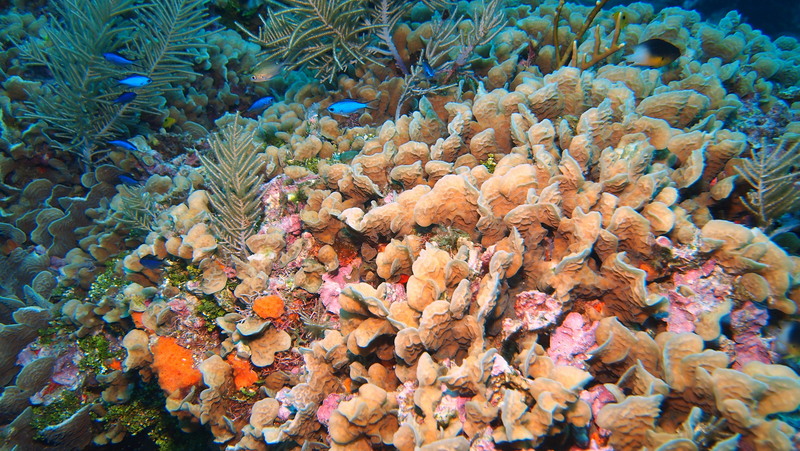 One is a marine protected area – Cayos Cochinos, sometimes referred to in English as the Hog Islands, and the other is Roatan Banks – a unique marine site which boasts the healthiest reef in the entire region. Heading out to sea in the same direction takes you to both of these destinations. Located first, some 25km. (15mi.) 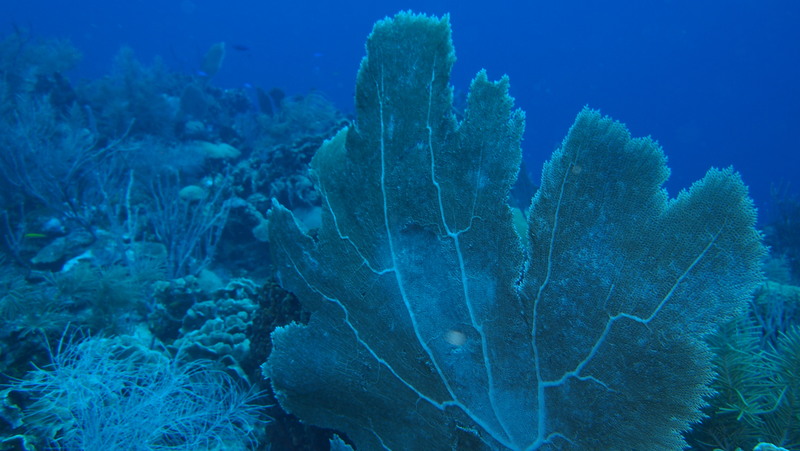 south of Roatan you will find the infamous Roatan Banks, an area which experts in the field of marine research have graded with the highest score when it comes to overall health in all of the Mesoamerican Barrier Reef System. Keep going south for about 6km. (3mi.) 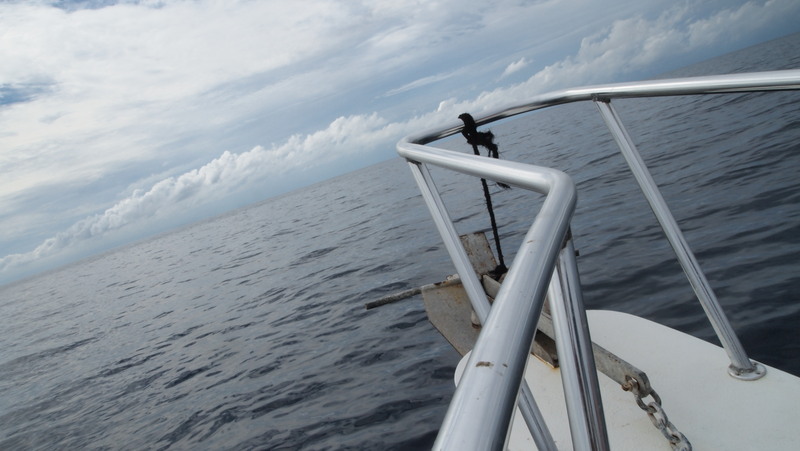 and you will reach the marine protected area of Cayos Cochinos. An archipelago made up of 2 small islands and 13 smaller cays, Cayos Cochinos was declared as a National Marine Monument by the Honduran government given its rich biodiversity and important interconnectivity with the coastal habitats and marine currents of the region. Larger than usual sea fans adorn Roatan Banks. A visit to Roatan Banks and Cayos Cochinos requires a full day trip. Both are accessible from the mainland or from the Bay Islands throughout the year, any day of the week, however, navigation to this area is recommended during daytime hours and not after dark, so if you want to have the full experience, you must head out early. It is also very important to always take into account current weather conditions and the availability of a well maintained boat in order to have a pleasant and safe trip. A Dramamine pill may be needed for some as the 2 hours plus return trip can make the unaccustomed seasick. Prices for this excursion vary greatly depending on the number of people, boat characteristics, number of activities planned, and the tour operator’s experience. Remember that this is a voyage out to sea, so do your research, ask questions, and choose the right operator to take you to and from safely. A Rock Beauty with its bright colors peeks through the crevice! 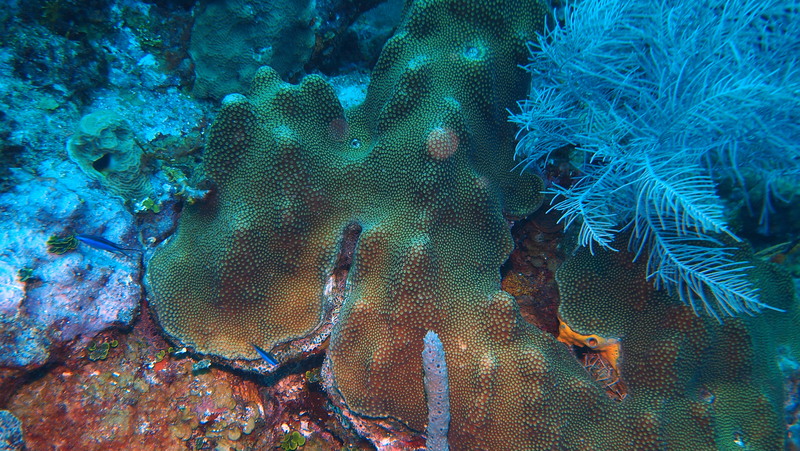 Beautiful smooth Star Coral formations. Roatan Banks is what you call a sea mount, in other words it is a mountain that rises from the sea, so you can imagine the scenery is quite impressive, especially if you are used to different topography like plunging walls or flat plateaus like the ones closer to Roatan, however, the main attraction is no doubt, all the live animal action found in this site. 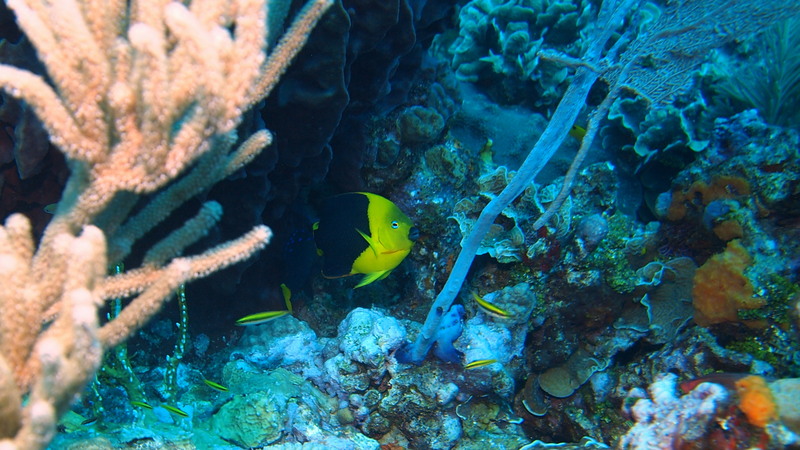 Roatan Banks is so full of abundant marine life that it could easily resemble a marine biologist’s dream laboratory, not to mention fulfilling every recreational diver’s must-see biodiversity bucket list. As one gets closer to the crest of the seamount, larger than ordinary Sea Fans, giant Barrel Sponges, and Smooth Star coral formations begin to appear, highlighted by the amazing spectacle of exotic and brightly colored reef fish species like Rock Beauty, Damselfish, Blue Tang, Creole Wrasse and Black Durgon dominating the blue backdrop in what appears to be a carefully choreographed dance routine. 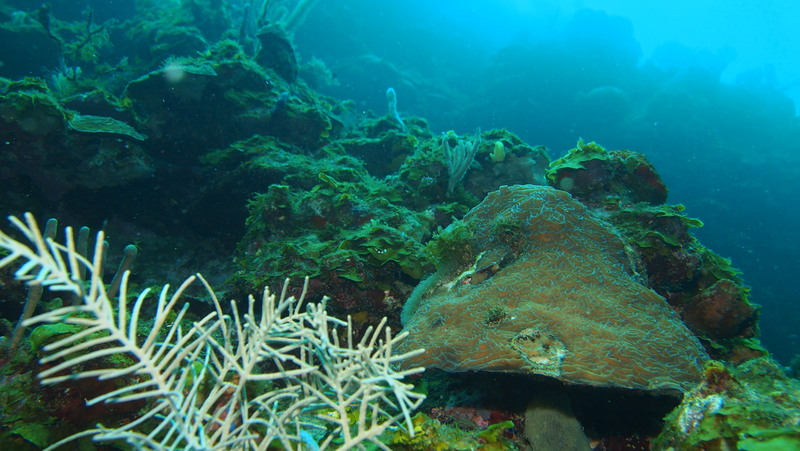 All this activity is a clear result of the favorable conditions present in the area which have rightfully given Roatan Banks, the title of healthiest reef in all of Mesoamerica – truly an amazing and valuable acknowledgment. The tip of Cayo Cochino Menor looks like a turtle’s head! The actual voyage to Cayos Cochinos is an adventure within an adventure so be on the lookout for dolphins midway through your trip as they frequently show up and playfully swim close to the boat as if to welcome the incoming visitors. 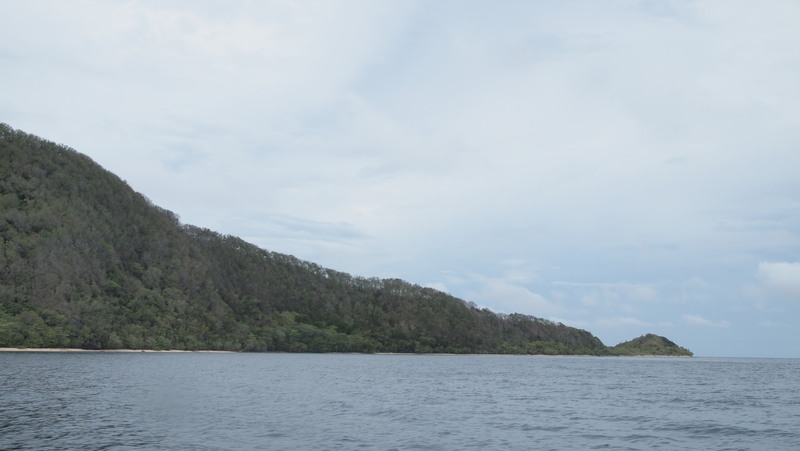 Upon arrival to the marine protected area you will be taken to the scientific research station located on Cochino Menor – the smaller of the two largest islands which is oddly shaped like a turtle on its eastern side. There you will disembark and pay an entrance fee of USD $10.00 for foreign nationals while locals pay a fee of USD $2.00 per person. Next stop on your dive trip will most likely be Punta Pelicano (Pelican Point in English) which is located a few minutes away right off the coast of neighboring Cayo Cochino Mayor. This is a wall dive, also densely populated with a host of juvenile and adult reef fish swimming in and about the maze of gaps and crevices found all throughout this vertica l drop-off. Overhangs of bushy and feathery black coral decorate the face of the wall which combined with the murky water and thick thermoclines (layers of water with different temperatures) create a shadowy and eerie experience right out of a science fiction movie. 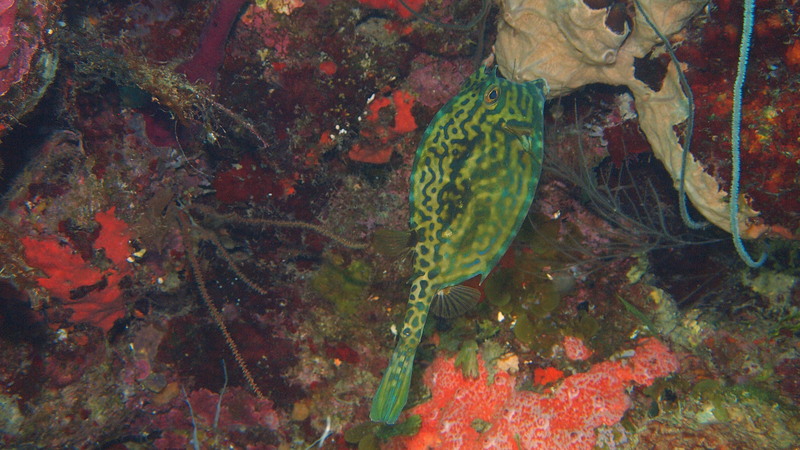 Some of the creatures which can be spotted on this dive site include Honeycomb Cowfish, Leopard Flatworm, and bright colonies of Blue Bell Tunicates. 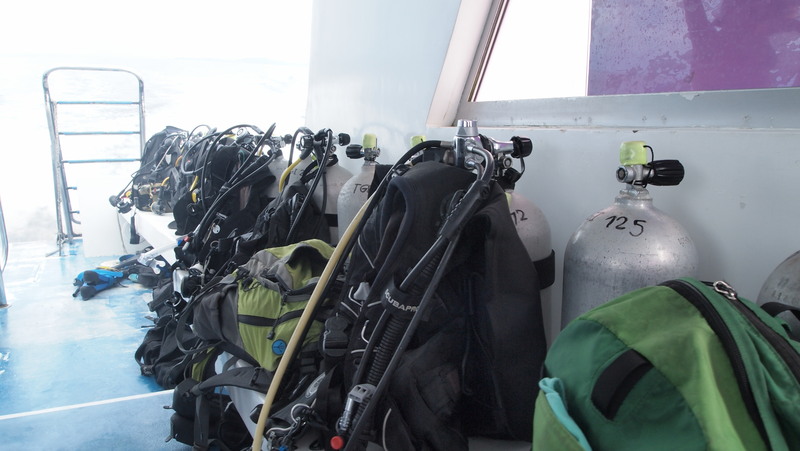 It must be noted that these are advanced level dive sites, as visibility is not optimal and there may be strong currents in the area. 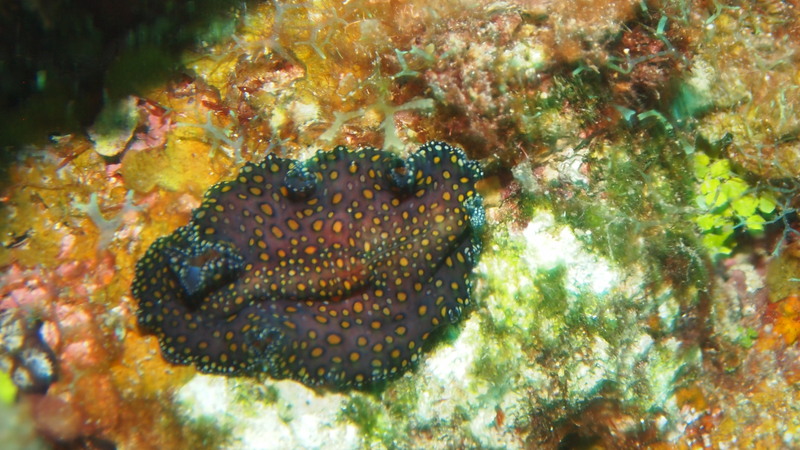 A hard to find Leopard Flatworm! Fried fish, rice & beans, and plantains, Garifuna traditional goodness. 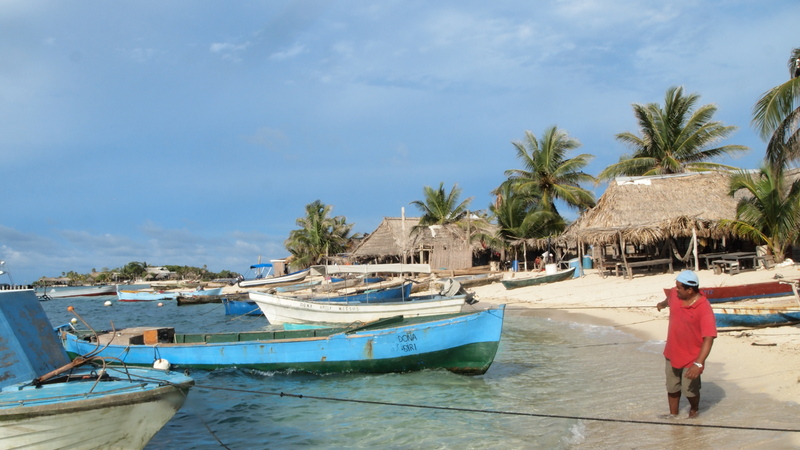 Although activities in Cayos (the short version for Cayos Cochinos) differ from tour to tour, a trip to this remote island paradise cannot be complete if you do not stop in the small fishing community of Chachahuate, one of the smaller cays in the archipelago. 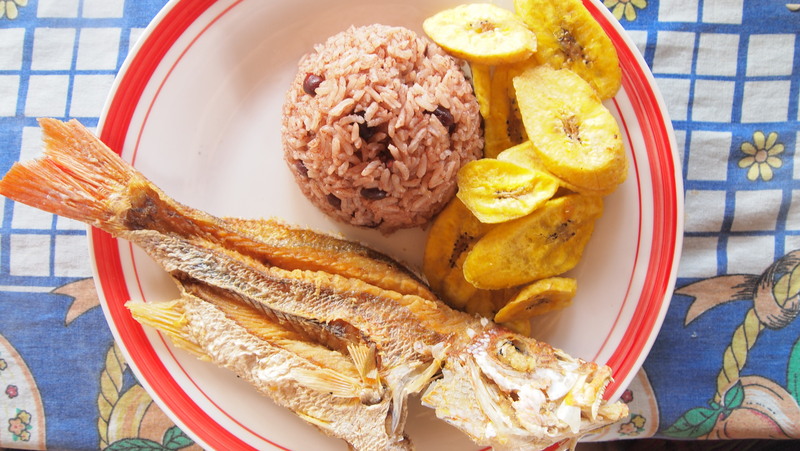 Here you will be greeted by the Garifuna (a group of African descendants that settled in the region) and served a traditional Garifuna meal made up of delicious fried fish, rice and beans, and plantains. This cultural experience can’t be any more authentic as you will enjoy your lunch seated in an open sided dwelling with a thatched roof (called a Palapa), sand at your feet, and some of the most stunning ocean views the Caribbean has to offer. 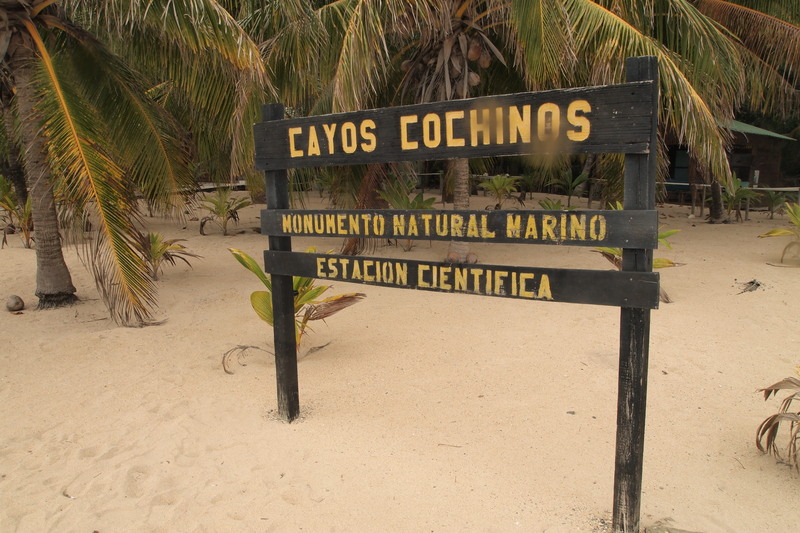 Cayos Cochinos makes for an unforgettable one day expedition. It is a place that is relatively unknown and remains almost in a virgin-like state where time stands still and life moves really, reeeally slow. We would like to keep it that that way, so in line with the Geotourism values we practice at Go Blue Central America, we highly recommend you leave it as is and not touch or take anything as a souvenir. Also, if you can, go ahead and bring donations for the community, they will surely appreciate it. You just make sure you enjoy the peace and quiet of this tropical getaway and not forget to bring your camera and a large memory card because you will want to cherish the dramatic landscapes and rich biodiversity found above and beneath the sea in Cayos Cochinos, forever.